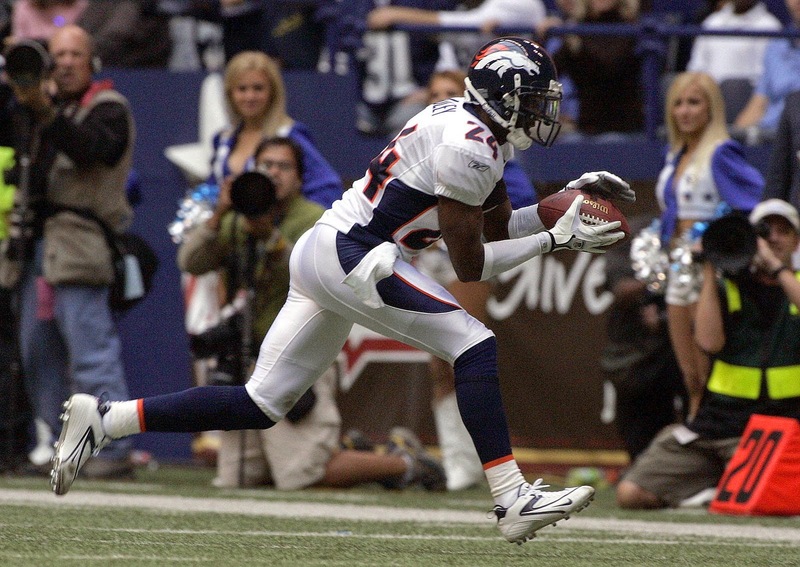 After five seasons in Washington and 10 in Denver, Champ Bailey has participated in his first practices in New Orleans this week. 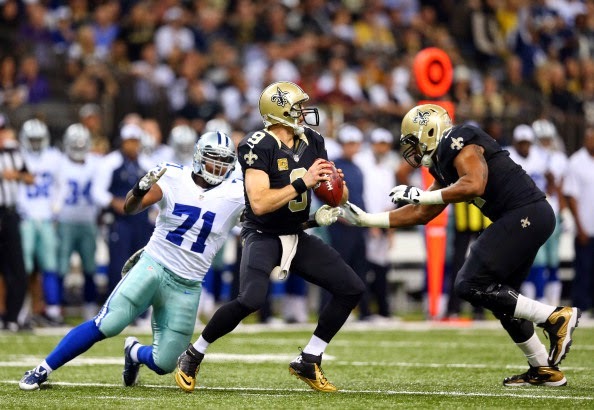 Saints defensive coordinator Rob Ryan likes what he sees. The soon-to-be 36-year-old Bailey is the oldest player on the Saints other than kicker Shayne Graham, and he says he takes the role of being a leader seriously. Veteran leadership is nice, but the Saints need Bailey to contribute on Sundays in the fall, and not just at OTAs. By age 36 players often struggle to stay healthy for a full season, and last year in Denver Bailey missed 11 games. Ryan has to hope Bailey can keep looking fantastic all year. 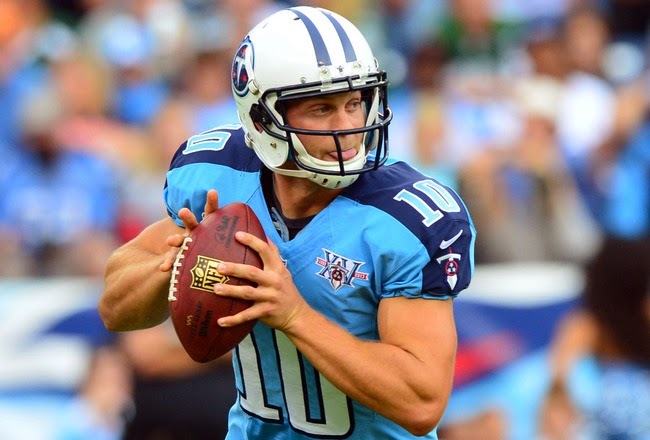 Quarterback Jake Locker’s future with the Titans is a bit uncertain after the team decided not to exercise the 2015 option on his contract. While it is unclear exactly what Locker might have to do to convince new coach Ken Whisenhunt, General Manager Ruston Webster and the rest of the Titans brass that he’s the right man for the long term, any argument will have to start with staying healthy. Locker’s had trouble doing that to this point in his NFL career, including the Lisfranc injury that ended his 2013 season in November. For now, Locker’s healthy and he went through the first day of OTAs with the rest of the team on Tuesday. It was the first time he’s done team drills since last year’s injury. Locker will also have plenty of mental work to do over the rest of the offseason as the Titans install Whisenhunt’s offense and he’ll need to be sharp in both areas to put forth the kind of performance he’ll need to convince the Titans to keep building their offense around him. 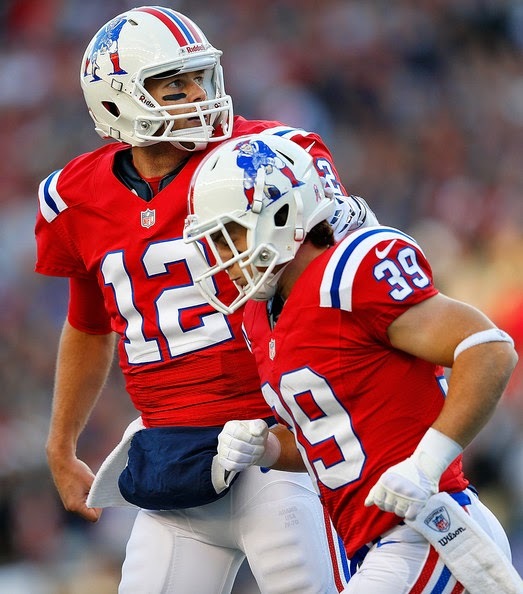 When Bill Belichick used the Patriots’ second-round draft pick on quarterback Jimmy Garoppolo, it could have been seen as an affront to Tom Brady. But Brady says he’s taking it in stride. 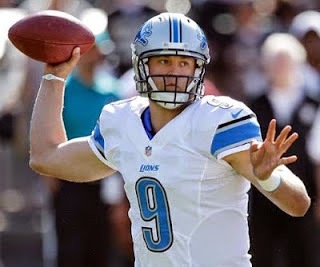 When a team with a 36-year-old franchise quarterback uses a second-round draft pick on a quarterback, it may be an indication that the team doesn’t expect that franchise quarterback to last much longer. But Brady says he’s still excited about playing many more years of football. Brady won’t be ready to hand the reins over to Garoppolo any time soon. When Seahawks cornerback Richard Sherman signed his big-money contract, Cardinals cornerback Patrick Peterson was happy. Not for Sherman, but for himself. 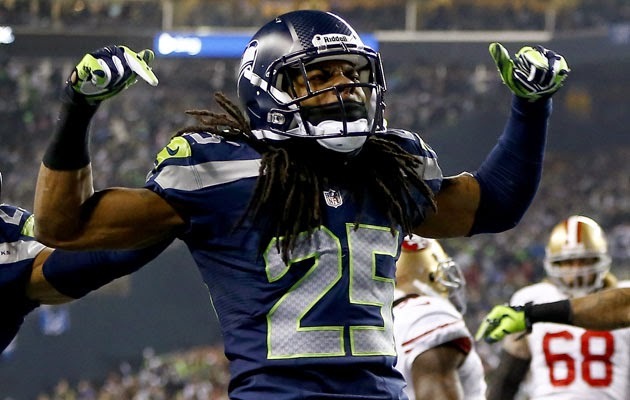 In Peterson’s mind, he’s worth a lot more than Sherman’s $57.4 million package. In Peterson’s mind, Sherman isn’t a shutdown corner. “If you look at their scheme and you look at our scheme, he’s a Cover-3 corner, period,” Peterson said. “A lot of guys say he’s a shutdown corner, but if you look at film and guys who understand the game, go back and look at film and see how his defense is. That may not translate into a bigger contract for Peterson, if Peterson wants the contract now. 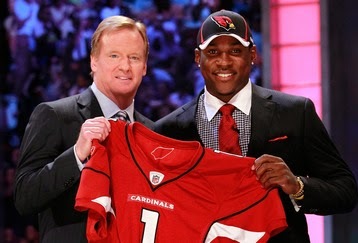 The fact that he’s under contract for two more years makes it potentially harder for Peterson to get big money now. Maybe next year, not this year. The 2014 season will probably be the last with only 12 playoff teams, Commissioner Roger Goodell said today. Goodell said the league’s owners have discussed the issues related to expanding the playoffs to 14 teams, and he said he expects that to happen for the 2015 season. Goodell said the league will spend 2014 continuing to examine any issues related to beefing up the playoffs, and should be good to go for a 14-team playoff beginning in January of 2016. Goodell said “the primary reason” the NFL didn’t expand the playoffs this season is that the league wants to put all its focus on making the Thursday night package of games as good as they can be. The league doesn’t want to oversaturate the market with too much football, if such a thing is possible. “We should proceed with the Thursday night focus that we have this year. We’re adding additional invoice to the marketplace,” Goodell said. 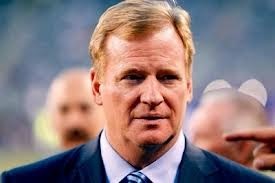 Although NFL Players Association Executive Director DeMaurice Smith has suggested that the players may not be on board with expanding the playoffs, Goodell said it will be good for the players because it will produce more revenue and therefore raise the salary cap. Whatever the continued dialogue may be, it will almost certainly result in an announcement at some point that there will be 14 playoff teams next season. It’s become fashionable to chastise the long-irrelevant Browns for the manner in which they’ve handled their sudden burst of relevance. And since I have zero sense of fashion, allow me to look at this a different way. The Browns have blocked the national media from Johnny Manziel’s first minicamp, explaining that they don’t want a repeat of Tebowmania. The better comparison could be not Tebow but Robert Griffin III. Offensive coordinator Kyle Shanahan has seen this movie before. Continuously for two years with his eyes held wide open, Clockwork Orange-style. Kyle and his father, Mike, saw RG3 become the most powerful man in D.C. not residing at 1600 Pennsylvania Avenue, with owner Daniel Snyder embracing — and perhaps fueling — the idea that it was Griffin’s team. Browns owner Jimmy Haslam seems to be determined to avoid, or at least to minimize, a repeat of that phenomenon. While keeping the national media out will do nothing to decrease national media interest in the Browns and Manziel, the effort provides tangible proof that the Browns are trying to not let Manziel become bigger than the team. That may not be enough to ensure that Manziel and Shanahan will be able to coexist. Manziel’s penchant for improvisation doesn’t mesh with Shanahan’s preference that quarterback play be virtually robotic. “During the course of a regular game, Kyle Shanahan wants you to run the offense exactly how he wants it, down to the amount of hitches you take to go through your progressions,” former Shanahan pupil Rex Grossman said back in 2011. Manziel may comply during the early portions of a play, but once things start to collapse he may decide to do his own thing, which may drive Shanahan crazy. Which leads back to the question of whether the coaching staff and the front office really wanted Manziel in the first place. By all appearances, it was a pick that was at least indirectly influenced by Haslam and/or the homeless guy in Cleveland. If so, the challenge for Haslam will be to ensure that Manziel never figures that out — and that he never abuses the power he already possesses in Cleveland, regardless of what the team now does to try to contain it. Cowboys drafted Devin Street in the fifth-round and they’ve added a handful of other receivers as veteran or undrafted free agents, but the team isn’t ready to shut the door on the possibility of Miles Austin’s return to Dallas. Coach Jason Garrett said that “we love” Austin and that there was “absolutely” a chance that the receiver could wind up back in Dallas at some point before next season gets underway. The speed of Street’s transition to the NFL will likely play a big role in determining whether or not there’s a future for Austin in Dallas. Austin hasn’t drawn much attention on the free agent market since being dropped by the Cowboys, so they may not run much risk of losing Austin to another team while they see what they already have on hand. 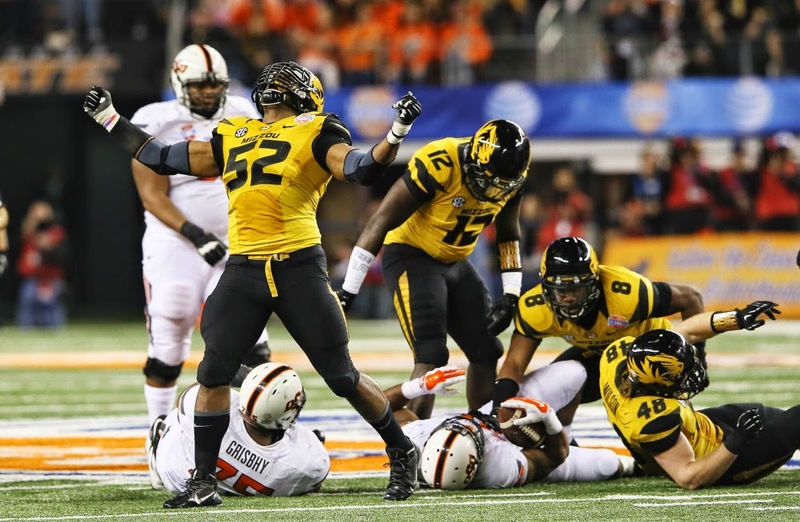 Rams defensive end Michael Sam thinks he’s landed in the right place. Sam, who became the NFL’s first openly gay player when he was drafted by the Rams on Saturday, was formally introduced at a press conference in St. Louis today. Sam thanked Rams coach Jeff Fisher, owner Stan Kroenke and General Manager Les Snead for bringing him to the team. As a seventh-round pick, Sam is no lock to make the roster, but he said he believes he has what it takes. Even if he doesn’t make the Rams’ roster for the regular season, Sam has already become a role model for young people, and he takes that seriously, wanting kids to know that they can be proud of who they are. Michael Sam looked comfortable in his own skin today, and proud to be a St. Louis Ram. The starting quarterback job in Cleveland will not be handed to Johnny Manziel. According to Haslam, Brian Hoyer is the team’s starting quarterback and will remain the starter until Manziel is able to prove that he’s the right man to lead the team. Manziel “is not the starter. Johnny’s the backup,” Haslam said. That may be the case for now, but if recent history is any guide, Pettine will choose Manziel to be the starter when the season begins: The last five quarterbacks to be drafted in the first round have all been their teams’ Week One starters. While Manziel may technically be behind Hoyer on the depth chart now, the Browns wouldn’t have used a first-round pick on Manziel if they didn’t expect him to surpass Hoyer. Preferably sooner rather than later. Michael Sam is the first openly gay player in the history of the National Football League, and he’s a St. Louis Ram. Sam, who came out as gay after ending his college career as a defensive end at Missouri, was selected by the Rams late in the seventh round, with the 249th overall pick in the 2014 NFL draft. The Rams made history by welcoming the first openly gay player to the NFL, and by keeping Sam in Missouri, they ensured that he’ll be in front of a supportive fan base. Sam is a former SEC Defensive Player of the Year, and the NFL will face some criticism from those who believe that Sam’s sexual orientation kept him from being selected until late on the final day of the draft. But it’s more likely that it was Sam’s workout at the Scouting Combine that caused his draft stock to drop: Sam struggled in his workouts, and many personnel people simply didn’t think he had the athletic talent to make it in the NFL. Whatever the reasons, Sam lasted until the Rams decided to take him late in the draft, and he’ll join one of the best defensive lines in the NFL. He still has to battle just to make the Rams’ roster, but he has earned the opportunity. The 49ers have gone a familiar route to fill a glaring need at wide receiver. 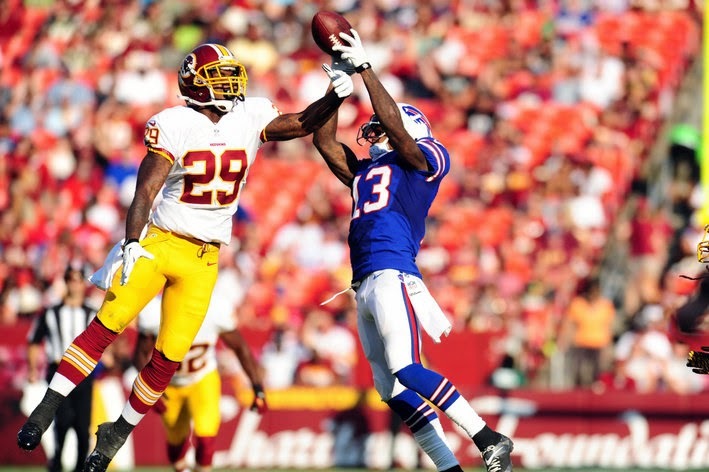 According to Adam Schefter of ESPN, the 49ers have traded for displaced Bills wideout Stevie Johnson. The cost is a conditional 2015 fourth-round pick which could become a third. It was clear the Bills were ready to move him after moving up to draft Sammy Watkins last night. From the 49ers standpoint, It’s a reasonable deal for a guy who should produce right away, similar to the Anquan Boldin deal last offseason. Along with Michael Crabtree, it gives them a solid group, and will allow them to devote the rest of their draft picks to other positions. NBA Commissioner Adam Silver has been almost universally praised for banning Los Angeles Clippers owner Donald Sterling for life after Sterling was recorded making racist remarks. But one of the NFL’s most prominent players says that NFL Commissioner Roger Goodell wouldn’t stand up to an owner the way Silver did. Sherman elaborated that the NFL has an opportunity to show leadership on racial sensitivity by changing the name of the Washington Redskins. Instead, the NFL is refusing to take a stand. “Because we have an NFL team called the Redskins. I don’t think the NFL really is as concerned as they show. The NFL is more of a bottom line league. If it doesn’t effect their bottom line, they’re not as concerned,” Sherman said. Goodell said this week on NFL Network that he sees no connection between the Sterling issue and the Redskins issue, but Sherman says the discussion about Sterling using racially offensive words should also initiate a discussion about Daniel Snyder owning a team that uses a name many consider offensive. Sherman’s new status as one of the highest-paid players in the NFL isn’t changing his status as one of the most outspoken players in the NFL. With the draft two days away and the Cowboys holding the 16th overall pick, speculation remains that owner/G.M. Jerry Jones will try to make a play for quarterback Johnny Manziel. 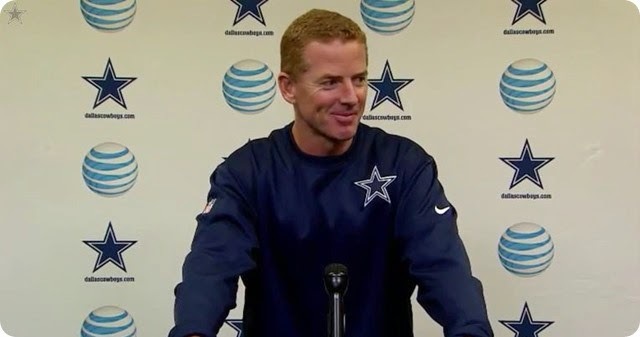 So does that mean the Cowboys can rule out using a first-round pick on a quarterback? It’s hardly a categorical denial. While drafting a quarterback may not be the “primary goal,” it technically could still be the secondary goal. At this point in the process, it’s impossible to believe what anyone says so close to the draft. If Jones doesn’t want a quarterback, he has no reason to say so. In fact,it would make more sense to suggest he wants one, in the hopes a team drafting lower than No. 16 jumps the Cowboys to take a player the Cowboys wouldn’t taken. Actually, the biggest reason for saying Jones doesn’t want a quarterback in the first round could be to conceal the fact that, in reality, he does. Now things are starting to heat up. With the NFL Draft three days away, the quarterback intrigue that any draft needs is kicking in. 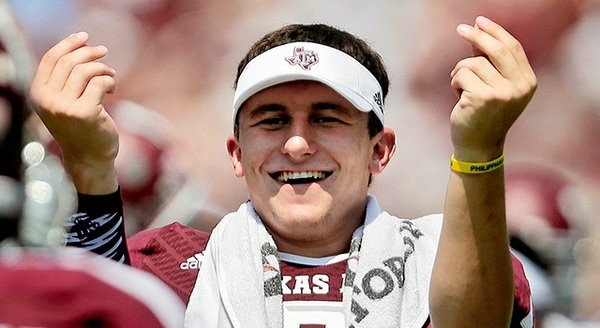 Chris Mortensen of ESPN just reported that he expects the Browns to pick Texas A&M’s Johnny Manziel at No. 4, if he’s still there. Of course, there’s always the possibility that he won’t be, which is perhaps why the Browns are looking at tackles. While taking a blocker fourth and a quarterback at No. 26 (or moving up to get one), it isn’t the flashy play. The interest in Manziel seems obvious for the Browns, who need some spark as much as they need a quarterback. Frankly, it’s the kind of splash move we’ve been waiting for owner Jimmy Haslam to make. The fact he wasn’t able to land Chip Kelly or Jim Harbaugh to coach his team only makes the need for a premier quarterback more acute. The Jets have drafted players for their defensive front seven in the first round of the last three drafts and they hit big on defensive linemen Muhammad Wilkerson and Sheldon Richardson. Quinton Coples hasn’t been quite as successful through his first two seasons. 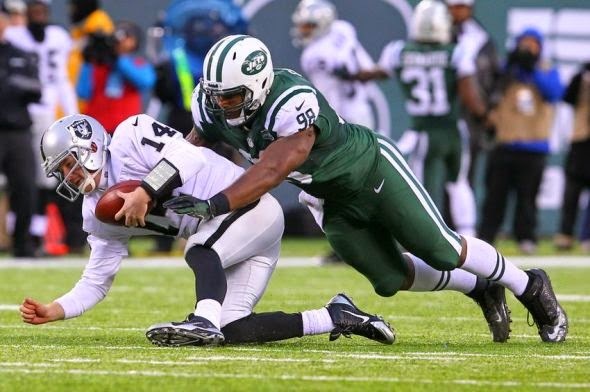 Coples, who the Jets drafted 16th overall in 2012, started 13 games for the team last year and did a good job against the run. He hasn’t developed into the edge rusher that the Jets hoped he’d be, however, and former Jet Joe Klecko thinks that the reason for that is Coples’ effort level rather than his athletic ability. Rich Cimini of ESPNNewYork.com follows up on Klecko’s comments, writing that Coples has “tested the patience” of the team’s coaching staff and it’s not the first public airing of grievances about his effort level. Coach Rex Ryan said last year that Coples needed to work harder in the weight room and Coples was dogged by questions about his work ethic coming out of college. Coples closed last season with 3.5 sacks in the final five games, illustrating what he can do when he’s going full speed. If he can do that over an entire season, Wilkerson and Richardson will have some company as the foundation of the Jets defense. 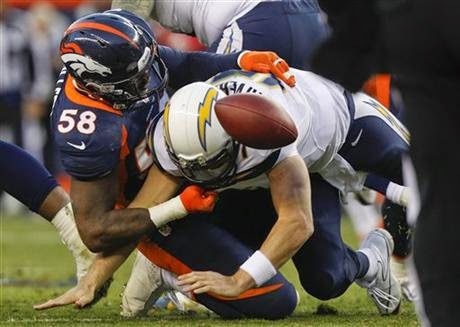 The Broncos wisely waited until nearly the last minute, but they ultimately did what they were expected to do with linebacker Von Miller. Per multiple reports, the Broncos have picked up the fifth-year option on the second overall pick in the 2011 draft. Miller, who was suspended six games to start the 2013 season due to his latest violation of the substance-abuse policy, is one strike away from a one-year suspension. But the fifth-year salary is guaranteed only for injury, so the Broncos are protected against any off-field issues or a sudden drop in on-field performance. He’s currently rehabbing a torn ACL, and he’s expected to be ready to go for Week One. What he does this year, on the field and off, will go a long way toward determining whether the Broncos tear up the contract and give Miller a long-term deal.